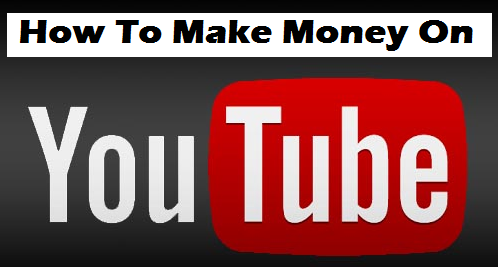 So let's find out how to make money on YouTube. The first and probably most obvious starting point is set up YouTube account. You should have an idea of the types of videos that you want to upload. Next you’ll want to Enable monetization and sign up for Google AdSense. Now let’s talk about how to actually make videos that can generate money on YouTube. The first and most important thing is that you want your videos to be about something you are passionate about. If you’re not passionate, it will show in your videos—plus you’ll have less incentive to make them as time goes on. I recommend coming out with normally scheduled videos at whatever interval you are comfortable with, whether that’s once a month or once a week. If you come out with regular videos, viewers are much more likely to ‘subscribe’ to your channel. Subscribing means that the user has started following you; if you post a new video. he or she will see it. This is a great way to build an audience and get some regularity to your viewership. Make sure your videos are short and high quality. Unless you are doing targeted tutorials, or have some reason to keep your video on the long side (anything over six minutes), I recommend keeping it short. Even if you have to break the video into multiple parts, it makes the content more easily digestible by the viewer, which increases the likelihood it gets shared. For example, a funny video that's 10 minutes long will have lower odds of being shared by a user who might tell his or her friends “you have to see this!" You’re aiming for something short, with a clear message, clear audio, and decent editing. A little bit of thought in the beginning could pay large dividends down the road. Next, you’ll want to keep the momentum of your video going. You don’t just get in a boat and paddle once and hope to get where you want to go. You have to keep paddling and marketing your video. This could be as simple as commenting back to comments people have left for your, commenting on other people’s videos, or sharing your video on Facebook or Twitter. Really any way that you can drive people to watch your video is beneficial. However, networks sometime have fees associated with them, or they ask to own your content or any number of other requirements. I personally don’t think that it is worth joining a network and going through all the trouble. I would first try making your own videos and revenue on your own. Once you have some experience to go shopping and to see what networks are out there, what they provide and what they ask of you. If you are curious though here’s a link to the top networks out there. At the end of the day, the best videos you can make involve something you love. Find a unique skill or space that you occupy and make videos for niche. This is the best way to get started and try your hand at making money with YouTube! Eric Escobar - Author - Thanks for this great article!